The Yankees and Red Sox close out their 2018 regular seasons with their three-game series finale later today. Every game across the league starts at 3pm ET today. There are some great postseason races in the National League. American League? Not so much. I’m looking forward to one last stress-free game. Here are some notes to check out prior to today’s season finale. According to Jim Allen, the Yankees were among the teams with a scout(s) on hand to watch Japanese left-hander Yusei Kikuchi during his most recent start. 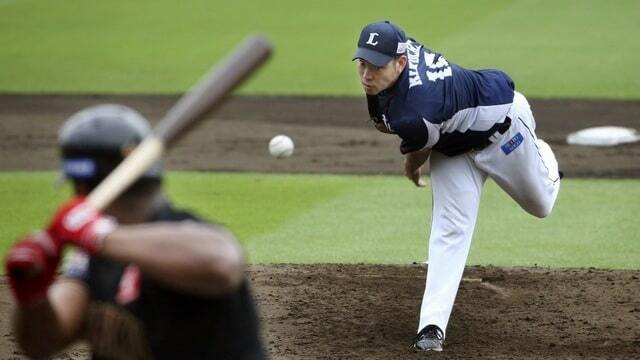 Kikuchi, 27, has a 3.08 ERA with 153 strikeouts in 163.2 innings for the Seibu Lions this season. He’s been among the best pitchers in Japan the last few years. The Lions are expected to post Kikuchi for MLB teams this offseason. I wrote about Kikuchi and the Yankees back in April. His stuff is legit. He has a qualify fastball and a wide array of secondary pitches. The biggest concern with Kikuchi is a history of arm problems. That doesn’t automatically disqualify him as a possible offseason target. It’s just something that has to be considered. The Yankees have two starters in place for next season (Luis Severino, Masahiro Tanaka) and I’d bet the farm on CC Sabathia returning. Kikuchi could be a candidate to fill one of the other two rotation spots. Right-hander Domingo Acevedo has been removed from the Glendale Desert Dogs roster and will not pitch in the Arizona Fall League this year, the league announced. No reason was given but I assume it is injury related. Acevedo was placed on the disabled list with a biceps injury — his second biceps injury of 2018 — at the very end of the minor league season. Injuries limited him to 69.1 innings this season. The Yankees had an open AzFL roster spot to fill — I have no idea whether that spot is a pitcher spot or position player spot — and now they have to fill Acevedo’s spot as well. I wonder if this opens the door for Jonathan Loaisiga to go to the AzFL to make up for the innings he lost to shoulder inflammation earlier this season. Loaisiga has thrown only 78.2 innings this year and he’s been sitting in the bullpen as a September call-up these last few weeks. The Yankees might not want to throw him to the wolves in the historically hitter friendly AzFL without being properly stretched out. He’s lauded internally for the extraordinary amount of work he puts into every start, which has helped him game plan opposing hitters all year long … He starts by commanding a pair of average 89-93 mph fastballs to both sides of the plate and backs it up with a slider and changeup that can generate swings and misses … Because he’s jumped so quickly this year, scouts are understandably hesitant about his future role, with most seeing him as a possible No. 5 starter. In the chat (subs. req’d), Josh Norris notes righty Erik Swanson showed well this year, though he didn’t throw enough innings with Double-A Trenton to qualify for the Eastern League top 20 list. “(Swanson) saw particular results because of the way his fastball carried through the zone. He also got better at commanding his entire arsenal and made progress with his changeup,” says the write-up. King is not yet Rule 5 Draft eligible. I’m curious to see whether Swanson gets added to the 40-man roster. Giancarlo Stanton is ninth on the list, one spot behind Shohei Ohtani. I’d love to see the numbers on these jersey sales. Anecdotally, it seems to me there are more Judge jerseys and shirts in the stands these days than any other player since Derek Jeter retired. Jeter always dominated the jersey and shirt scene. Feels like Judge is right up there with him now.